Our FaithWorks food pantry opened in early February. We had lots of people the first week for our grand opening. And while it slowed down a bit the second week, we are getting rave reviews by both our volunteers and our guests regarding the way guests “shop” for their own food rather than having things prepackaged for them. And I think it’s working – we are having lots of great conversations and are definitely getting to know our guests as we complete the forms and accompany them as they shop the pantry shelves. We are also continuing to partner with individuals (both those within and outside of FaithWorks), and other congregations and businesses. Lots of people are bringing in food and a couple of other churches, businesses and other nonprofits are also doing food drives and helping with volunteers. It’s really exciting to see how so many people want to be a part of this. (Remember, we’re always looking for volunteers for both the hours we are open and for other stuff like shopping, stocking shelves, and gathering food from other sources. Please contact Margaret Robinson a if you’d like to help.) 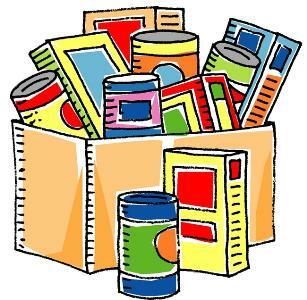 Pantry hours are Tuesdays from 1:00 to 3:00 and Thursday evenings from 6:00 to 8:00. This pantry, which will have a very intentional focus on hospitality and building relationships, and is a wonderful opportunity to further connect with our neighborhood. And as I said earlier, I know that everyone connected with it –guests and volunteers alike – will see God there.